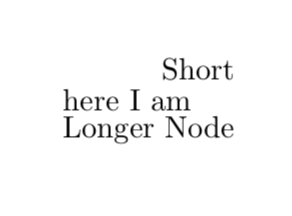 My goal is to place a node at position (x,y), with y=0, but with x equal to leftmost of the two nodes (topnode) and (bottomnode). I would like to do this without hard-coding the position. So that the position would still be correct if I changed the content of those two nodes. A local bounding box known the left/right/top/bottom-most coordinate of everything that's inside.